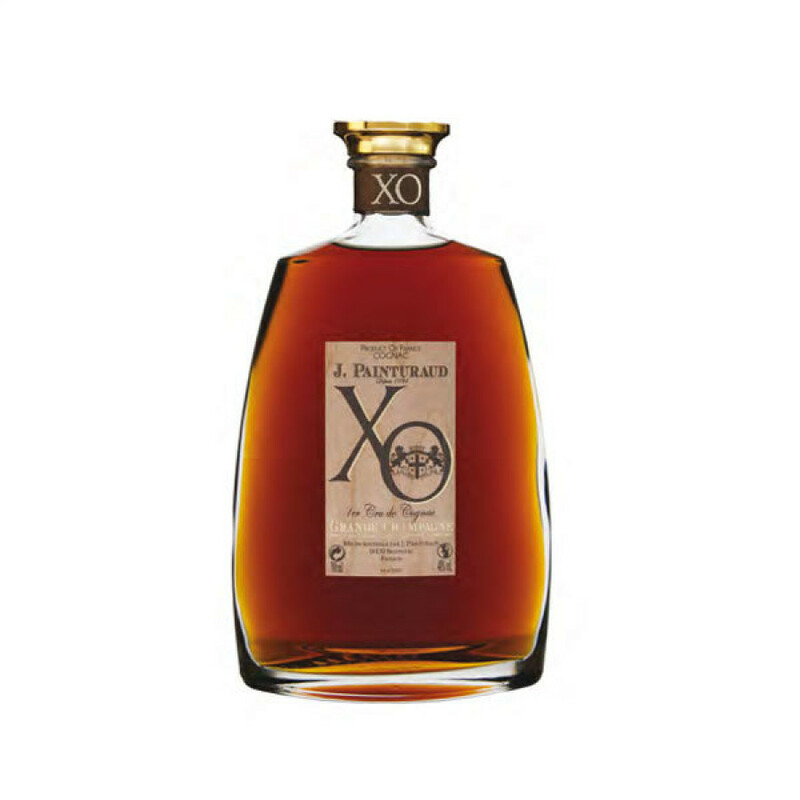 The J. Painturaud XO Grande Champagne Cognac is a true delight from this artisan house. From the moment you set eyes on it's deep amber color you'll be enchanted. And the journey just gets better and better, with a nose that boasts tempting exotic fruits, and a powerful palate that continues to evolve right through to its exceedingly long and satisfying crescendo. The presentation of this XO is particularly good. A decanteresque style bottle wiht aniquated label makes for an eye-catching talking point when you bring it out at the end of a meal. For a Cognac of this quality you'll be pleasantly surprised at its low price tag. This makes it an easy choice to add to your collection, or it will certainly be well received as a gift by any lover of find things.